A single ceiling light that is sure to give you plenty of light that you need for your bathroom. It is best used when it is installed flush with the ceiling to provide the widest amount of light to reach each corner of your bathroom. 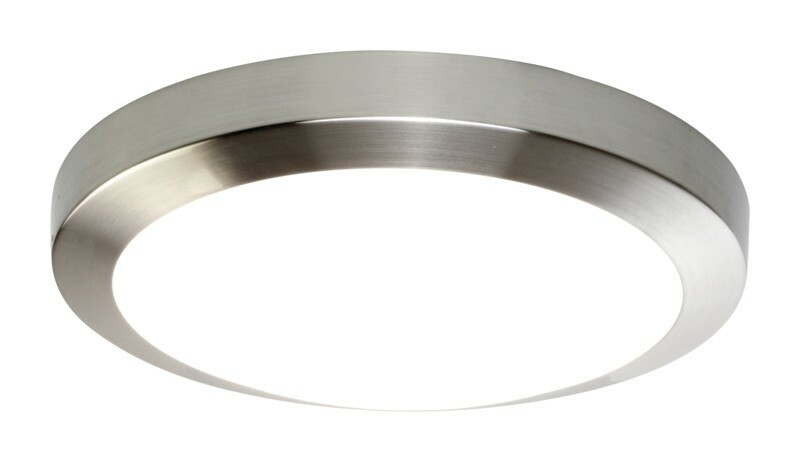 The brushed nickel finish gives a sleek border around the diffused light. It includes a white glass diffuser that ensures that the light given off is neither too bright nor too dim. It is an IP44 rated light that will make even a modern-looking bathroom look more elegant and classy and can be either wall or ceiling mounted.